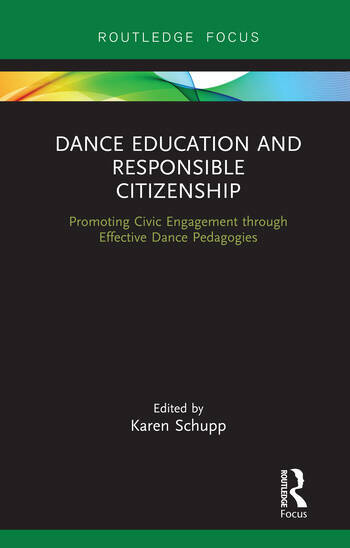 Originally published as a special issue of the Journal of Dance Education, this collection brings together a number of insightful chapters which explore themes relating to responsible citizenship within dance education. Presenting research, scholarship, experiences and pedagogical approaches from national and international contexts, and diverse educational settings, the articles included in this book demonstrate how the study of dance requires students to develop a clear sense of self- and group-responsibility. Including high-level contributions from a range of researchers, educators and dance instructors, the volume investigates how research and instruction can contribute to building communities; and ensure that dance education reacts to shifting social, political, and cultural norms. Responsible citizenship and civic engagement are examined in relation to course content, pedagogical approaches, systemic practices, and cultural assumptions. This valuable collection of diverse and insightful chapters will be of great interest to researchers, post-graduate academics, teachers and instructors in the fields of dance and teacher education. Karen Schupp is the Assistant Director of Dance and Associate Professor in the School of Film, Dance and Theatre at Arizona State University, USA.